A toymaker offers a small child one of his toys. 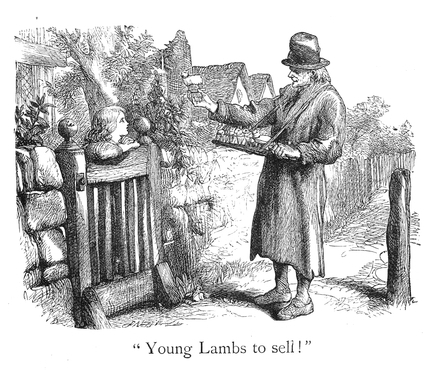 The little girl leans over the front gate as if inspecting the toy sheep on offer in this vintage toy image. Copyright free and in the public domain, this scene from village life is ready for downloading and adding to your next project.